Dubai: New metro stations at the under construction Route 2020 will have a new generation smart gates that will help passengers to get quicker access, the Roads and Transport Authority (RTA) announced on Monday. The RTA’s Rail Agency has begun installing HD cameras and 3D-sensor equipped gates for the automated fare collection at the new stations. “The 3D-sensor technology will boost the safety and security of passengers and prevent crashing into gates, especially by toddlers and wheelchairs of people of determination and pregnant ladies. 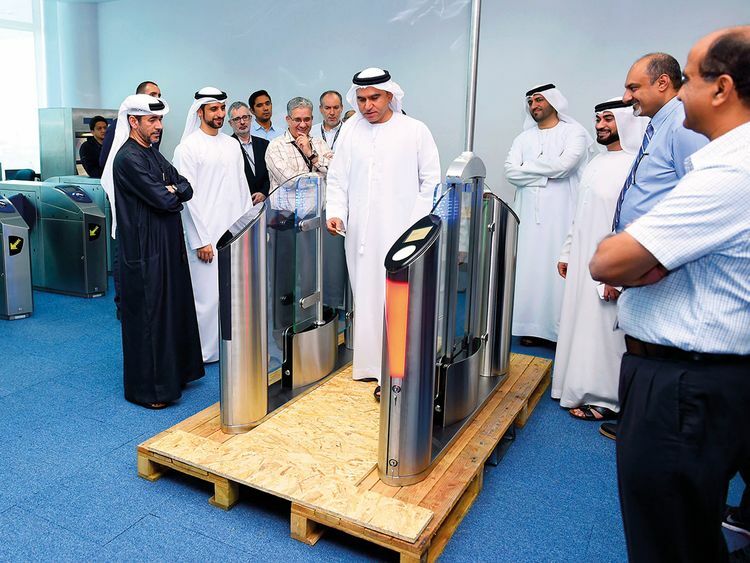 These gates will automatically open in case of emergencies or fire,” said Abdul Mohsin Ebrahim Younus, CEO of RTA’s Rail Agency.